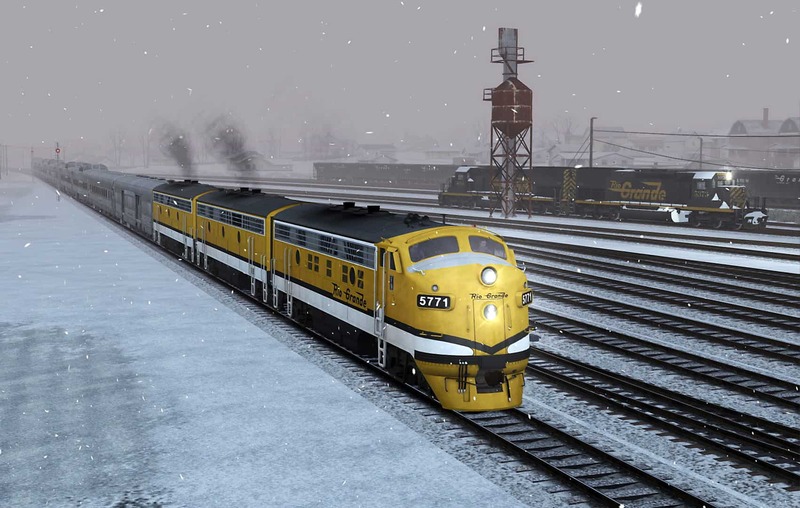 The magnificent D&RGW – nicknamed “The Ruler of The Rockies” – stands among America’s greatest railroads. 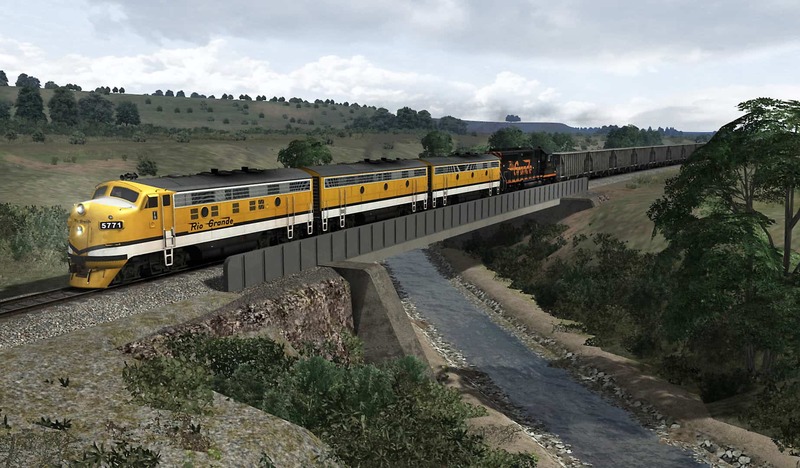 And High Iron Simulations’ Soldier Summit + Salt Lake City Route Extension Scenario Pack 01 puts you in the engineer’s seat for unforgettable, challenging, and realistic Rio Grande railroading! 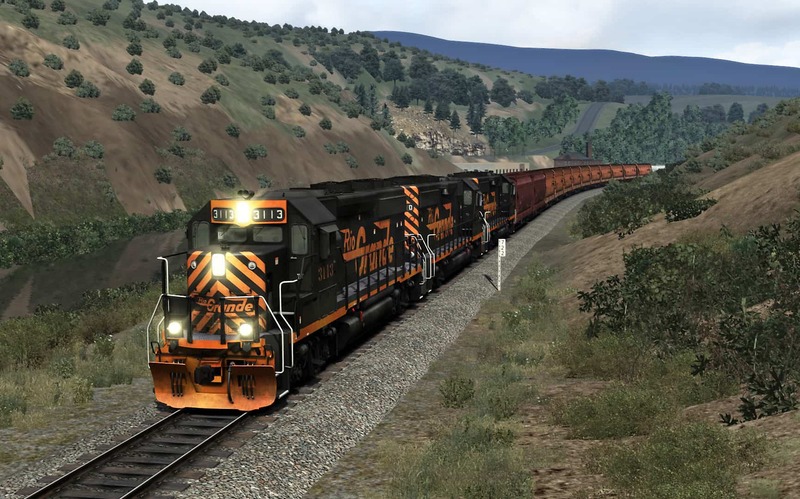 Now available, Soldier Summit + Salt Lake City Route Extension Scenario Pack 01 features ten realistic career scenarios that put you at the throttle for D&RGW passenger, main line freight, coal, local, and switching duties across the full length of Train Simulator’s popular 118-mile western route! 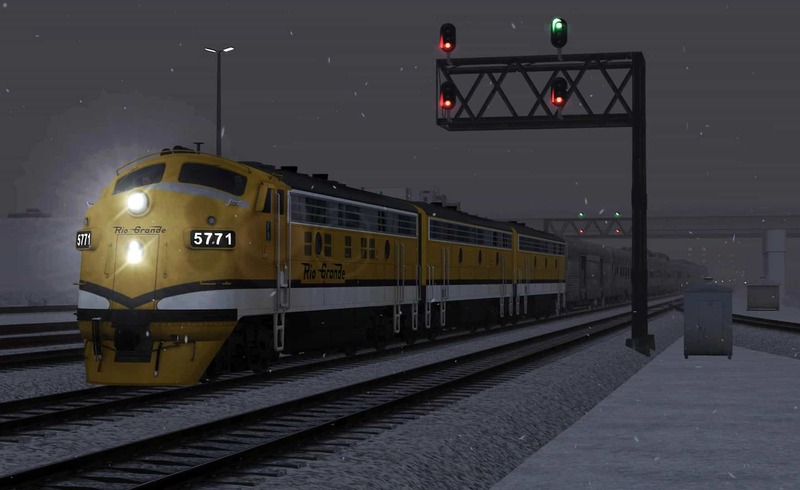 In the multi-part scenario “D&RGW Train 18,” you’ll be the D&RGW’s senior engineer and take the throttle of elegant EMD F9s for a wintry eastbound run of the famed Rio Grande Zephyr over the full length of the Third District of the Utah Division, from Salt Lake City (above) to Helper, Utah (below). Screenshots by Gary Dolzall. 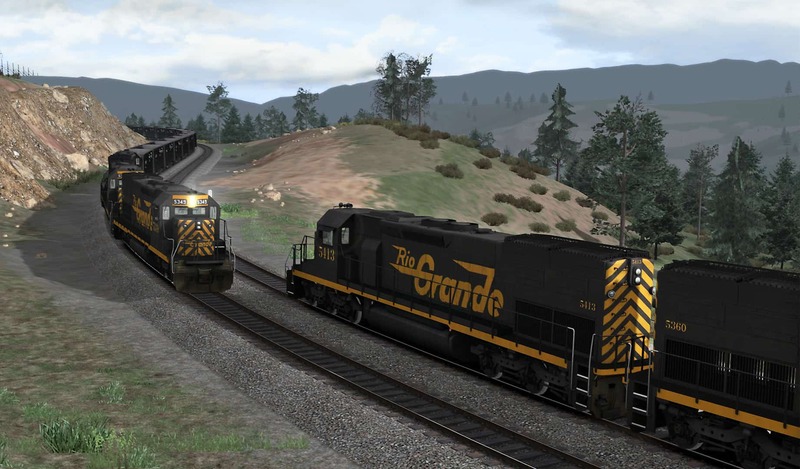 In Soldier Summit + Salt Lake City Route Extension Scenario Pack 01’s two-part scenario “D&RGW Train 733,” you’ll take the controls of D&RGW SD40T-2s totting coal from Carbon County in Utah to the Geneva Steel Works, a journey that will include carefully bringing the heavy coal train down the remarkable Gilluly Loops (above and below). 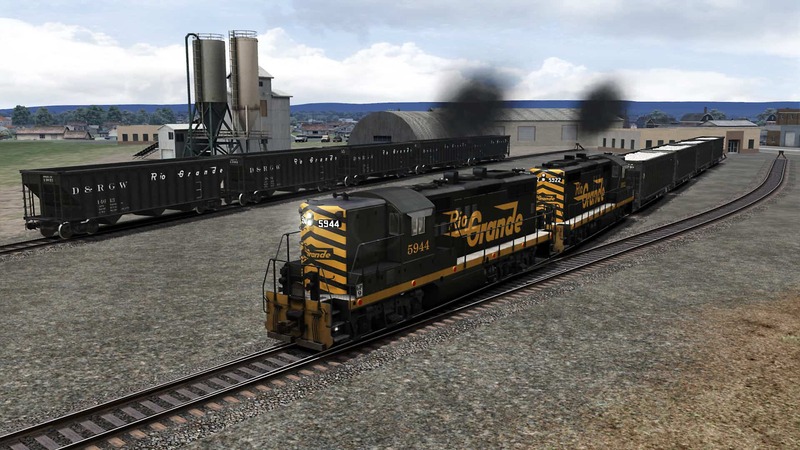 The destination of D&RGW Train 733 is the sprawling Geneva Steel Works located north of Provo, Utah. 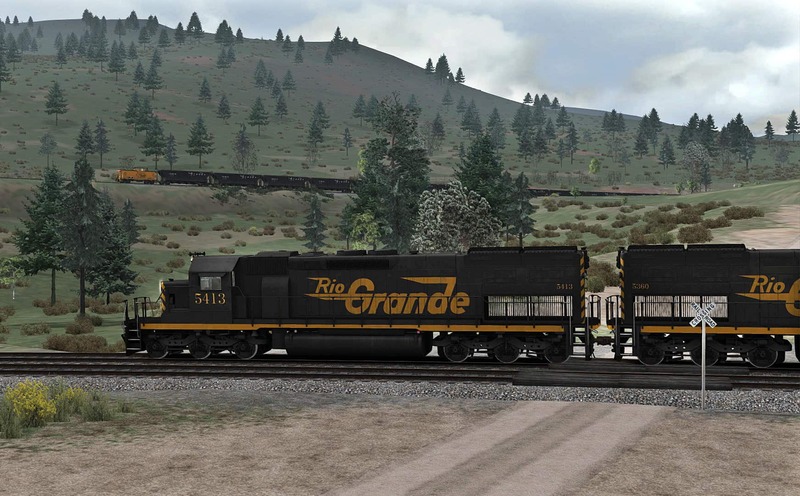 Rio Grande EMD SD40T-2 5413 and two sisters are rolling into the yard at Geneva with coal for Geneva’s hungry furnaces. 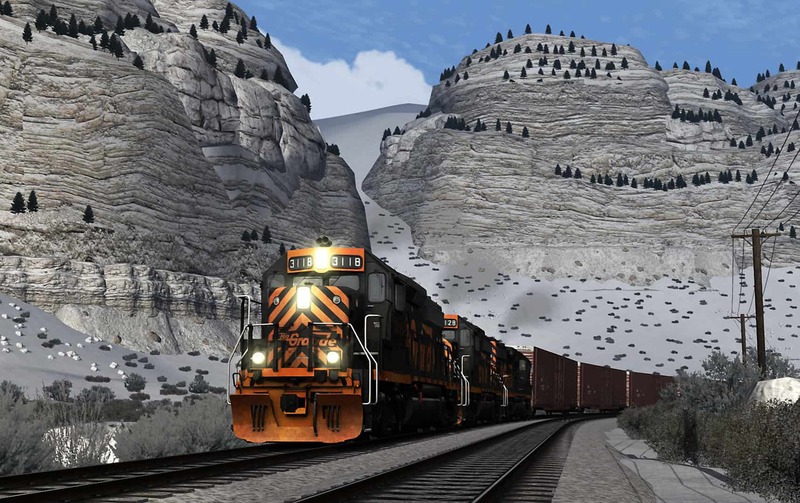 High Iron Simulations’ new Soldier Summit + Salt Lake City Route Extension Scenario Pack 01 includes ten challenging career scenarios closely based on authentic Rio Grande operations and train symbols of the 1980s. 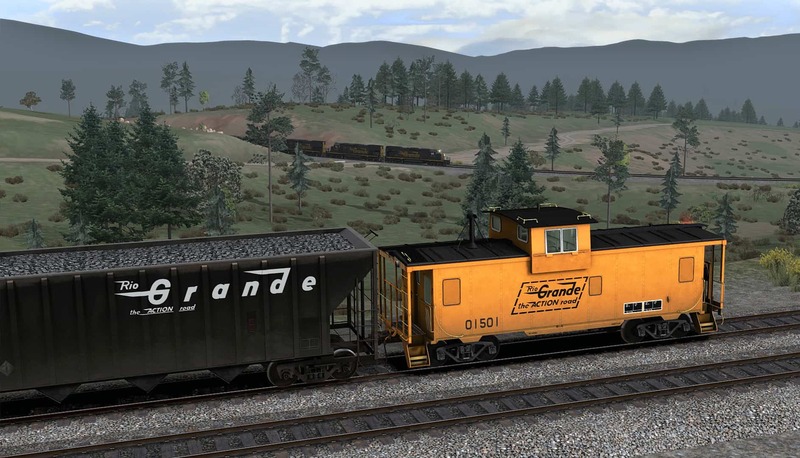 Diverse and realistic operations are a highlight of Soldier Summit + Salt Lake City Route Extension Scenario Pack 01, including challenging local and switching duties. 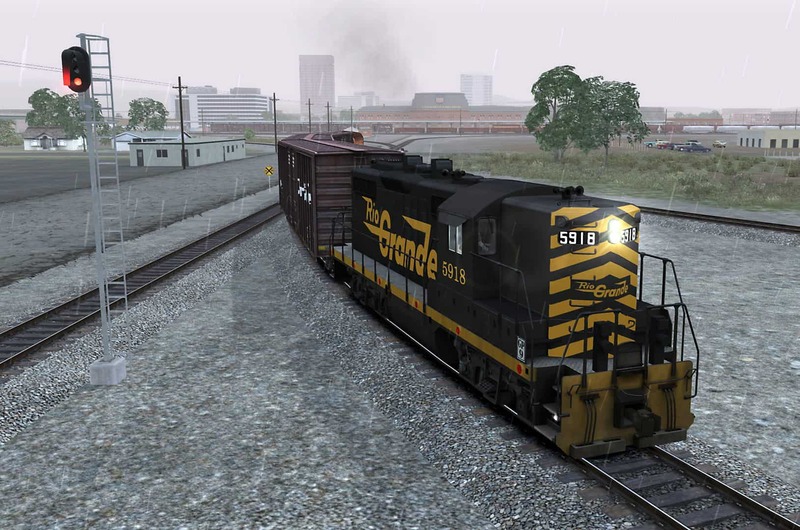 In the scenario “D&RGW Short Line Transfer” you’ll employ a veteran Rio Grande EMD GP9 to handle switching and transfer duties in downtown Salt Lake City (above). 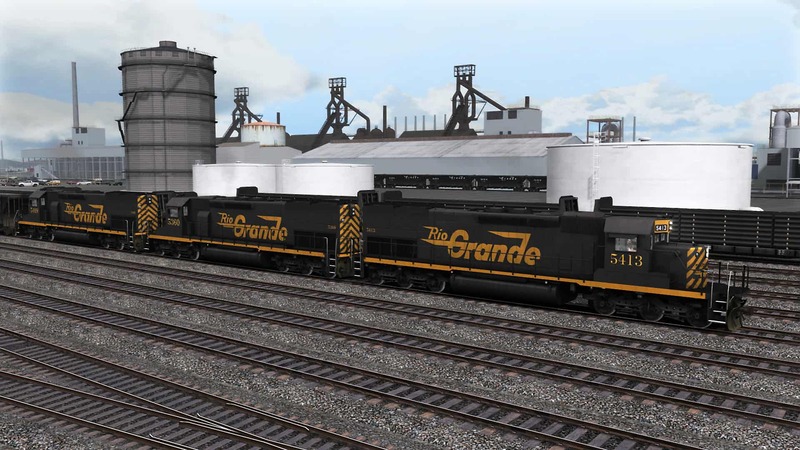 The career scenario “D&RGW Midvale Trap” provides another opportunity to climb aboard a venerable Rio Grande GP9, this time to switch the area around Midvale Yard (below). 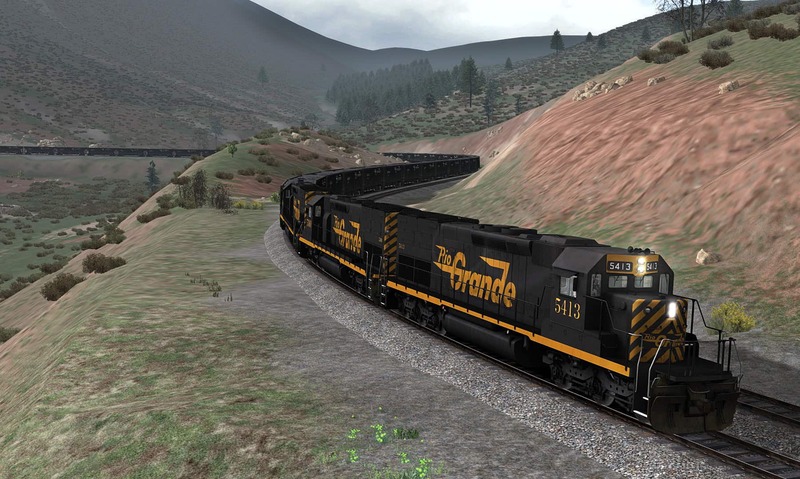 In Soldier Summit + Salt Lake City Route Extension Scenario Pack 01’s career scenario “D&RGW F9 Finale,” you’ll once again climb aboard Rio Grande’s classic EMD F9s, this time following the discontinuance of the “RGZ” when the veteran F-units served out their final days in ballast train service.